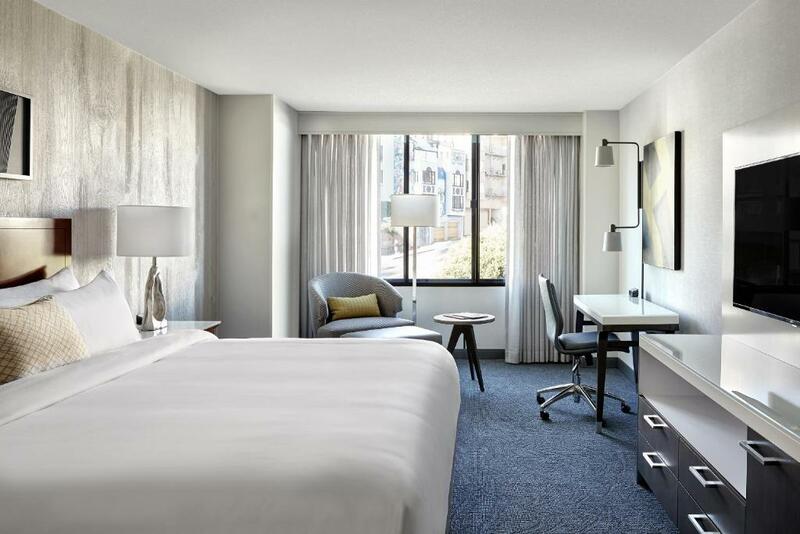 A fitness center and a location two blocks from Ghirardelli Square and one block from the Powell-Hyde cable car line clinch the deal for our guests at the non-smoking San Francisco Marriott Fisherman's Wharf. 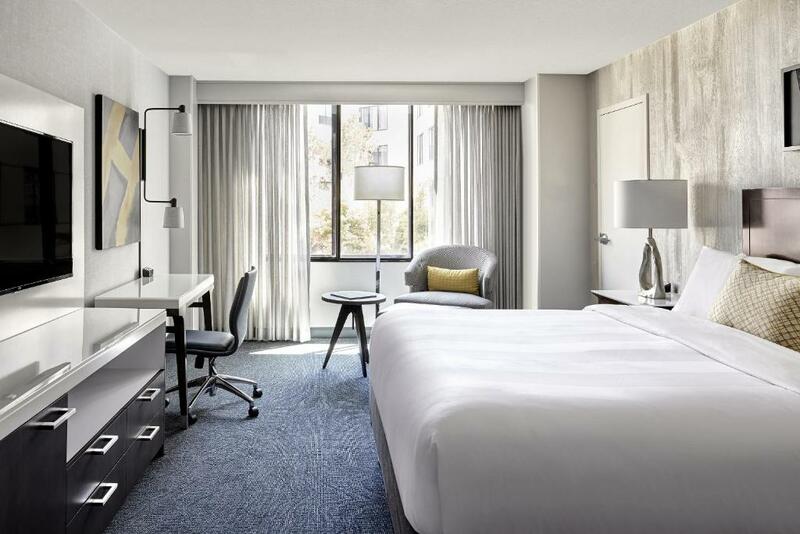 The five-floor Marriott has 285 contemporary rooms with iPod docks mini-fridges coffeemakers and flat-panel TVs with expanded cable and plug-in tech panels. Rest and refresh on the plush Revive Beds. Rooms are all non-smoking. The hotel also has Wi-Fi in the lobby a top-notch fitness center concierge service a seafood restaurant a lounge and parking (for a fee). Pets are allowed for a one-time fee per stay. 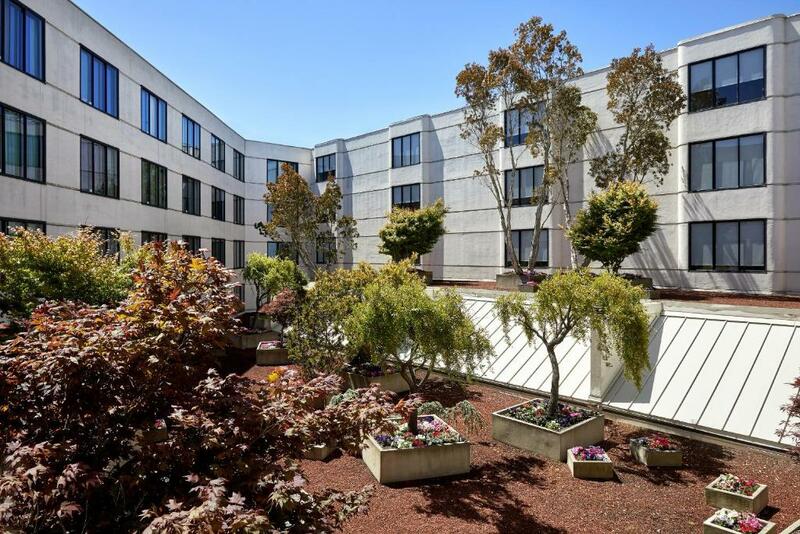 The Marriott is nestled in a quiet area but just two blocks south of bustling Pier 47 at Fisherman's Wharf. The Powell-Hyde cable car line is one block west and Ghirardelli Square is two blocks west of the hotel. Check out the famous winding section of Lombard Street four blocks away. Fort Mason is a mile west and Coit Tower is a mile east. 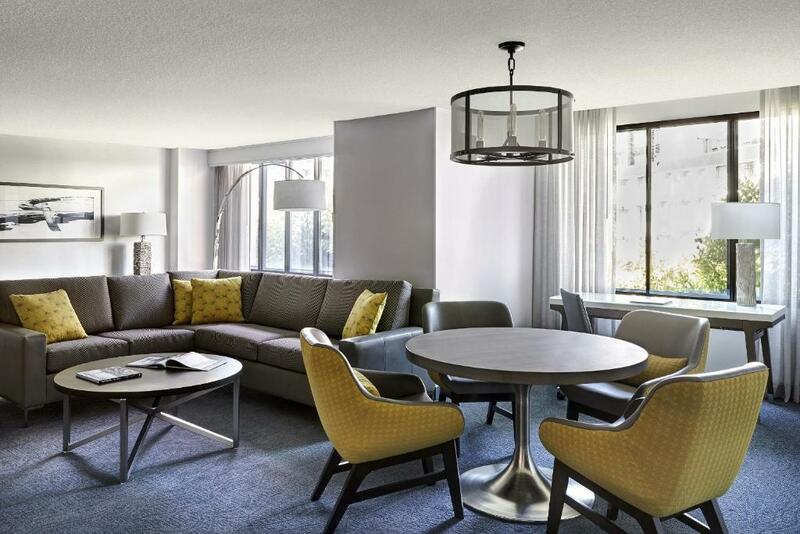 The hotel is 16 miles north of San Francisco International Airport and 21 miles northwest of Oakland International Airport. 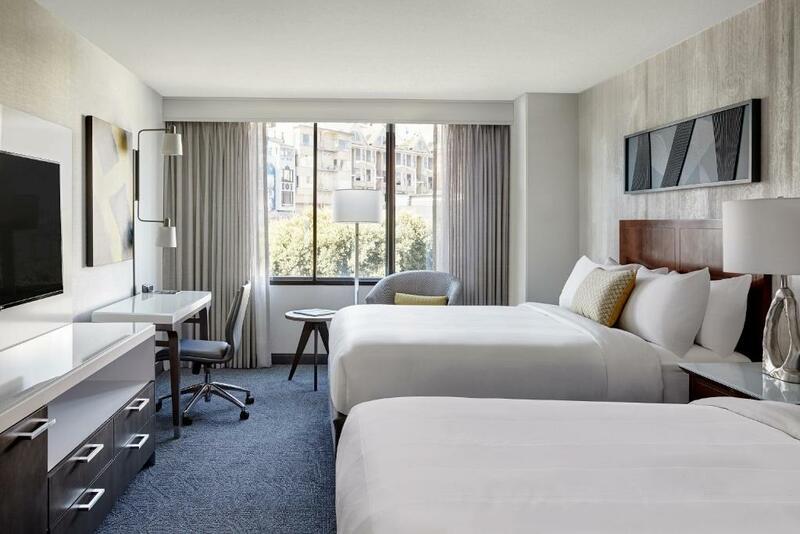 our guests like San Francisco Marriott Fisherman's Wharf with its tech-loaded rooms and "comfy beds" in a location "very close to Fisherman's Wharf."